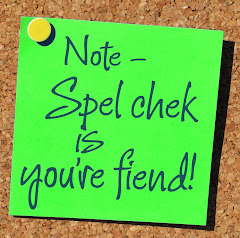 The Hayden Cinema is up to their old spelling tricks again. 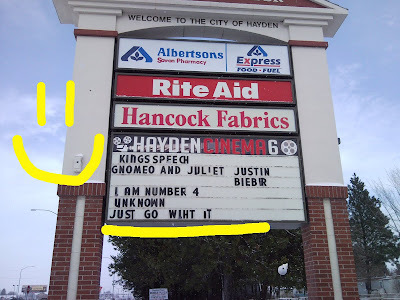 Do you think Justin "Biebir" will "Just go wiht it"? 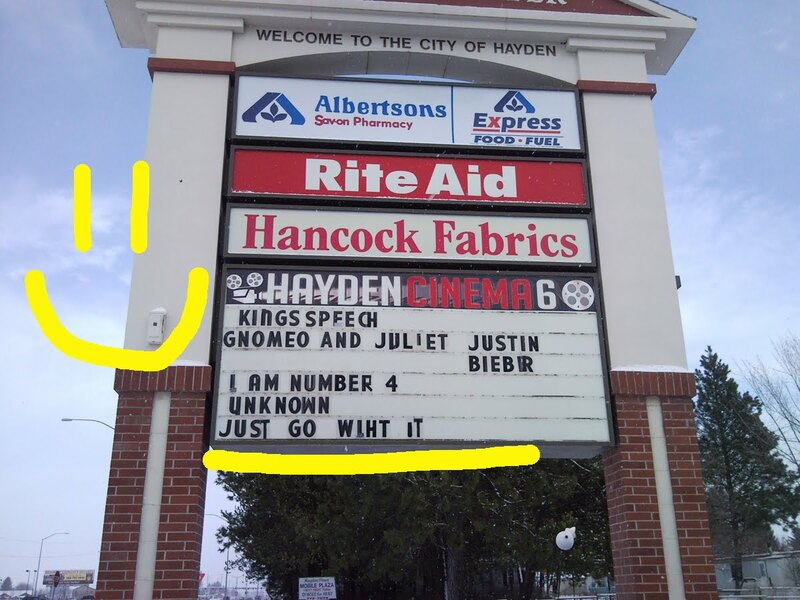 My hubs spotted this sign in Post Falls, Idaho. Calling someone a "dumpig" is really just rude. Can a pig help that they're dumb? 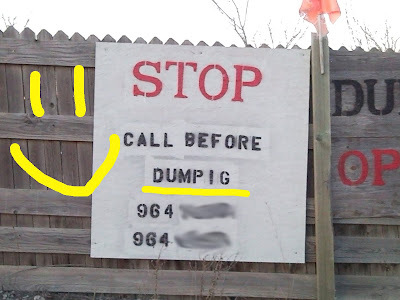 And what is the dumb pig suppose to call before? Showing up? Driving by? Climbing the fence? What? WHAT? ?